Mangroves are multi-taskers in the world of ocean wealth. In addition to providing habitat for both artisanal and commercially-fished species, sequestering carbon, and bolstering tourism, mangroves are essential for protecting coastal communities from the effects of climate change in many parts of the world. 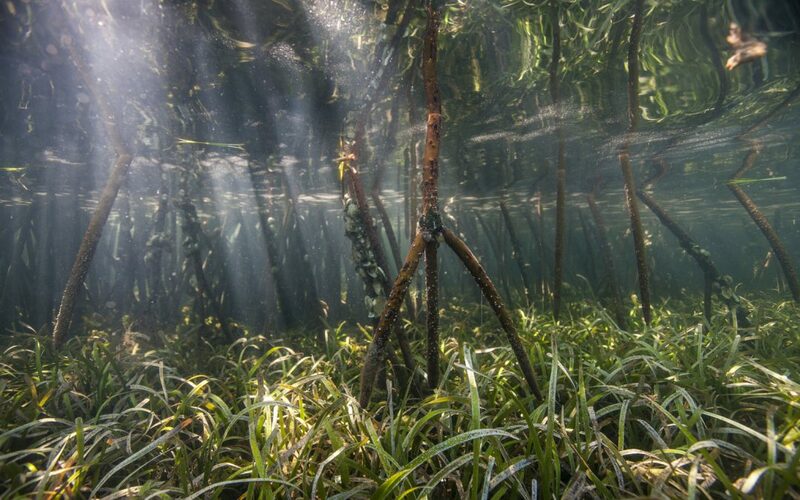 The aerial roots of mangroves retain sediments and prevent erosion, while the roots, trunks and canopy reduce the force of oncoming waves and storm surge and thus reduce flooding. The Philippines has lost hundreds of thousands of hectares of mangroves in the last century, and the coastline is now at high risk from coastal hazards. Natural defenses, including mangroves, can help reduce these risks by retaining sediment and reducing the force of incoming waves. TNC, in partnership with the World Bank, The Philippines government, and the Environmental Hydraulics Institute IHCantabria, recently completed a study that quantifies the risk reduction benefits from mangroves in the Philippines. Using high-resolution flooding models, the Technical Report examines the flooding that would occur with and without mangroves under different storm conditions throughout the Philippines, and estimates the annual expected benefits of mangroves for protecting people and property in social and economic terms. 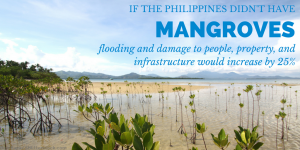 The Report, and its accompanying Policy Brief, provide a social and economic valuation of the flood protection benefits from mangroves in the Philippines. The work aims to support decisions across development, aid, risk reduction and conservation sectors as they seek to identify sustainable and cost-effective approaches for risk reduction. Beck and Lange. 2017. Mighty Mangroves of the Philippines: Valuing Wetland Benefits for Risk Reduction & Conservation.